Anything as vast and mysterious as the Sahara Desert is bound to invite myth and legend – it’s how we make sense of things too large, elusive or forbidding to know firsthand. 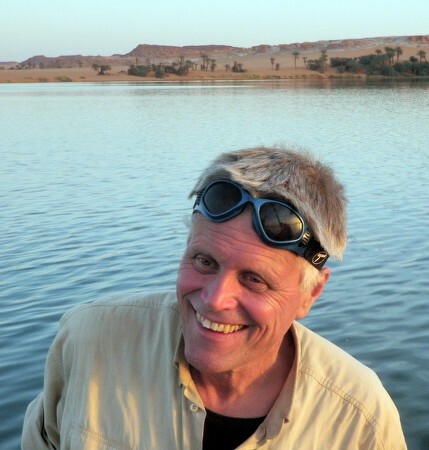 Stefan Kroepelin, however, has dedicated his life to firsthand knowledge of the Sahara, and has dispelled some myths along the way. He’s come to know, better than almost any outsider, the desert’s eastern portion, made up of Libya, Egypt, Chad and Sudan. 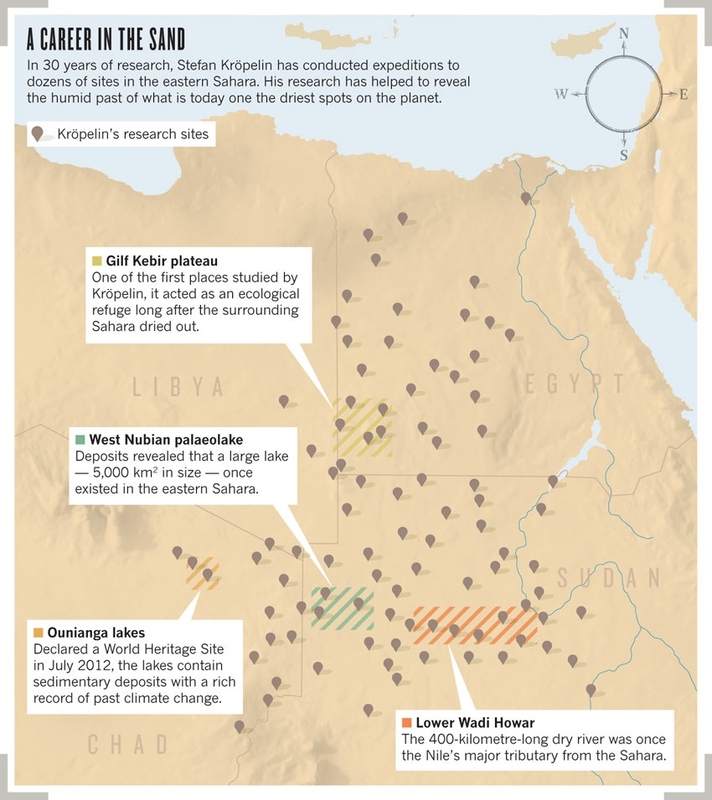 The story that Kroepelin has helped piece together opens on a Saharan region vastly different from the one we know today. 10,000 years ago, the Sahara was significantly wetter than it is now, a lush savannah that supported life and hints of early civilization where sand and little else can now be found. That little else has been the key to Kroepelin’s success, though. He and his team took core samples from the bottom of a lake in Chad and, by analysing the layers of sediment that had built up over the last few millennia – and the pollen contained therein – were able to draw the clearst picture yet of the region’s dessication and dessertification. We were using man as a very sensitive climate indicator. His new core sample squared with the picture of a more gradual shift and upended the previous research. The people displaced by the region’s drying out made their way east and found the water they needed at the banks of the Nile. There they developed one of the longest-lasting civilizations known to history. Dr. Stefan Kroepelin shares tales of desert adventures – some likely his own – at the SFJAZZ Center on Tuesday June 10th, 02014.